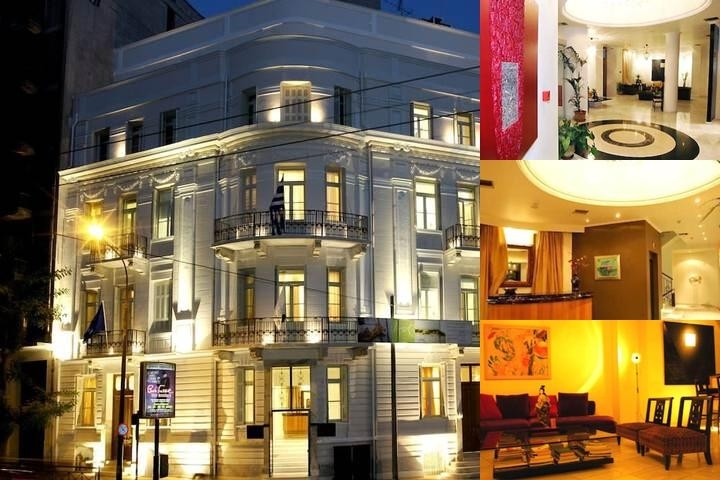 The Art Hotel is situated in the center of Athens, within walking distance from the national archeological museum and Omonoia square. The Athens Art Hotel is 4-star new elegant boutique hotel, operating in a renovated neoclassical building of 1930, situated in the centre of Athens, within walking distance from the national archaeological museum and Omonoia square.The Hotel is very easily accesible by various means of public transportation, including the metroThe 30 guest rooms and suites are designed and furnished one by one, depending on the room shape, the traffic flow, the focal point and the lighting. Different colours, original paintings on the walls and materials like wood and Greek white marble dominate inside the rooms and the bathrooms giving a sense of 'modern eclectic' style.In the main floor, there is a large lobby and also a cafeteria and a bar - restaurant, very elegantly furnished and decorated, which communicate through a double height foyer, where a vintage chandelier dominates. The sophisticated combination of modern design furniture with precious antiques and original paintings create a very elegant unique atmosphere that one can never forget.